Each day, hundreds of Lee County residents face one of their greatest challenges in life: living with Parkinson’s disease. 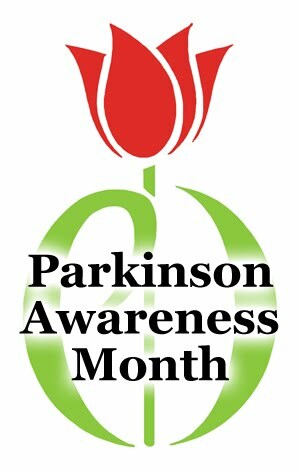 The month of April is recognized as National Parkinson’s Awareness Month, to educate the public and to promote support programs that can increase quality of life for those living with the disease, and their care partners. Parkinson’s disease is known for its visible symptoms, often beginning with shaking, slowness of movement and difficulty with balance, and is sometimes accompanied by depression. Without treatment, the debilitating symptoms progress over time. There is no cure. Although Parkinson’s disease is usually associated with older adults, it can also be experienced by people in their 20’s, 30’s and 40’s. Each year, 60,000 Americans are diagnosed with Parkinson’s disease, along with another 1.5 million who are already affected. The Hope Parkinson Program, the only Parkinson Program based in Lee County, reaches about 500 people who have been touched by Parkinson’s, and their care partners. Education and support are critical in the life of a person with Parkinson’s, in order to cope and maintain quality of life. During Parkinson’s Awareness Month it’s important to make the community aware that there is hope. Exercise. A focus of the program is exercise and balance classes that help improve mood, keep muscles strong, and improve flexibility and mobility – all of which helps to reduce the risk of falls. Classes also include dance, art and music and are offered in multiple locations every month; each person participates at their individual comfort level. Support groups. Education programs and discussion groups enable patients and their care partners to learn about common symptoms, pain management, and the emotional impacts of the disease. Socialization. Staying active with family and friends is an important component of living with Parkinson’s disease. A large group of program participants recently enjoyed a seven-day cruise organized by the Hope Parkinson Program. Education. Interactive, educational programming helps participants improve their knowledge of the disease and their quality of life. Monthly lunch-and-learn seminars provide insightful educational topics and time for socializing. “Parkinson’s Awareness Month provides an opportunity to celebrate the tremendous progress made in the treatment of the disease, as we look forward to the discovery of a cure,” Beckwith added.